It's been a busy and successful week! Starting with the AMI 25th anniversary AGM at Glenmore Lodge, and finishing with this film shoot for BMC TV in somewhat inclement conditions. Thanks are due to help from Andy Barker for organising the AGM, and all our volunteer helpers. 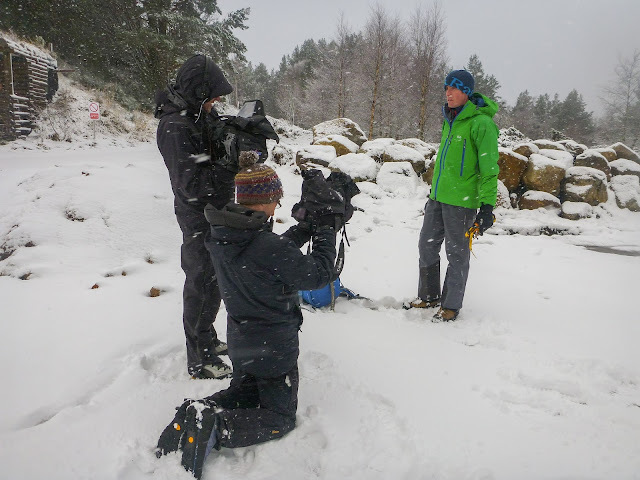 Also, thanks to Glenmore Lodge for making it all run smoothly, and our brand partners Rab, Lowe Alpine and DMM. It was a fantastic week and one that I will remember fondly for many years! For a month during November/December I directed a series of courses for local leaders in Jordan. There is still a lot of work to do here on both the technical front and also helping develop a sustainable qualification framework but the courses were both interesting and challenging to run. 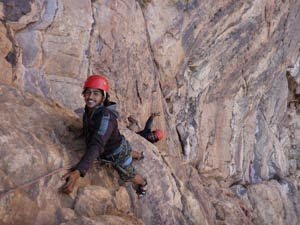 We were working with the Jordan Tourist Board for these courses, with the long term aim of developing a sustainable qualification system that meets the UIAA Training Standards requirements. It will be interesting to see whether an association representing local activists can be established and eventually take over the governance of qualfications. In the meantime hopefully we passed on enough skills and equipment for individuals to continue developing their mountain skills and pass them on to others. This has been a really international couple of weeks! 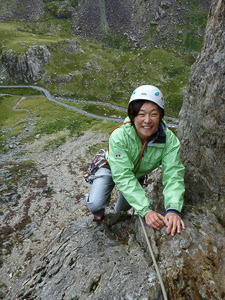 My friends from the JWAF came over from Tokyo to stay with us and sample the delights of Welsh climbing. 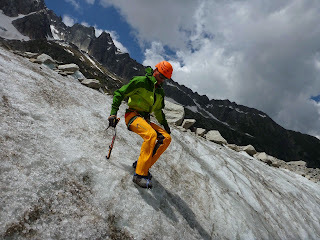 Despite the vagaries of August weather we managed to climb every day and they sampled most of the major climbing venues. 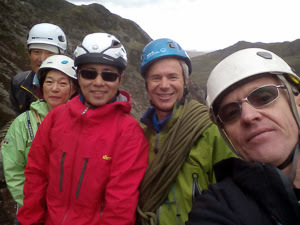 For the final couple of days we were joined by William Leigh, a member of the Beijing branch of the Chinese Mountaineering Association, a keen walker but with no climbing experience. So we took him with us to Holyhead Mountain where by coincidence we met a German team who I had climbed with 25 years previously! 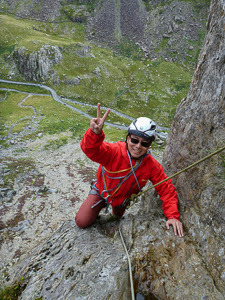 We followed this experience with a mass ascent of the magnificent Flying Buttress on Dinas Cromlech, for which we were also joined by my friend and fellow Guide, Chris Parkin. 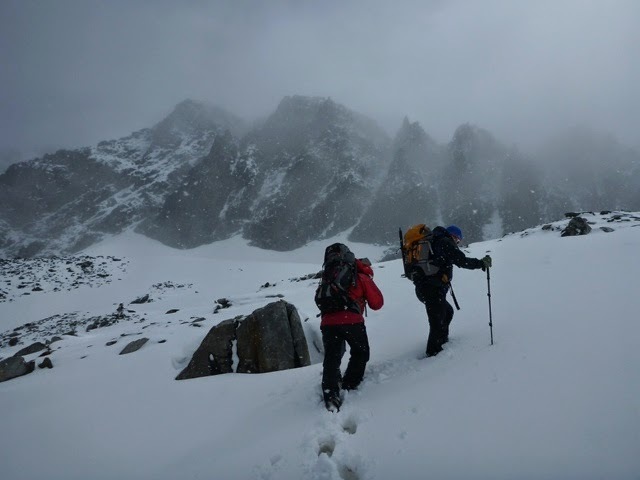 The first week of this year's meet was not blessed with what one might call fair weather! We spent the whole week ducking and diving between storms and showers. At times the passes wee shut due to snow drfts! 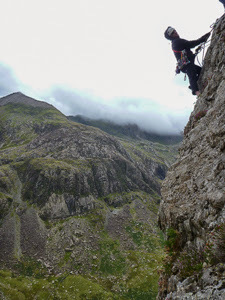 Nonetheless by keeping things flexible we enjoyed some good routes and worked our way through the training syllabus. 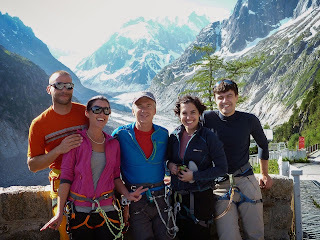 I joined my friends from Lisbon for a climbing holiday for the first week of July. 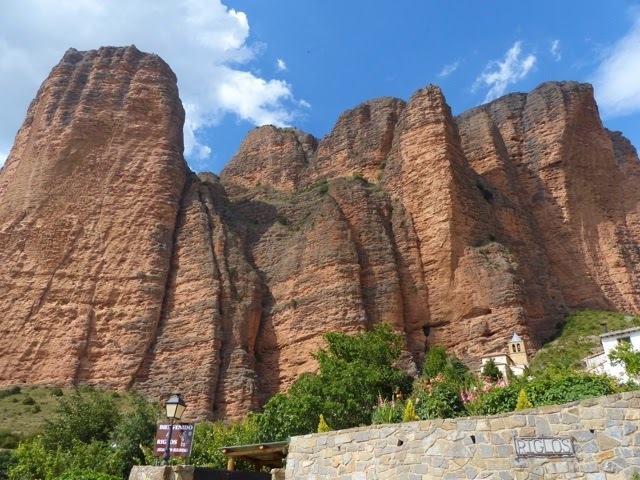 We had a brilliant time: the highlight was probably an ascent of the world-class "Fiesta de Los biceps" at Riglos, but other great memories included on-sight leads of nearly a dozen routes at grade 7a and above plus several other excellent pitches. Every evening was a dinner party with some of the nicest people you could ever hope to see. And the scenery is beautiful, the deep heart of Spain. A group photo from the first day of the Arc'teryx Alpine Academy. 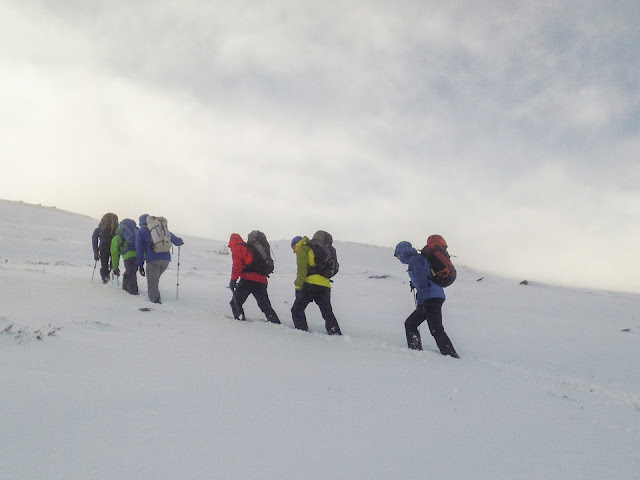 A small group so I was able to give the group more autonomy to practice skills. A fun day in a beautiful office! P1040157.jpg by SteveMLT on Flickr. P1040201.jpg by SteveMLT on Flickr. 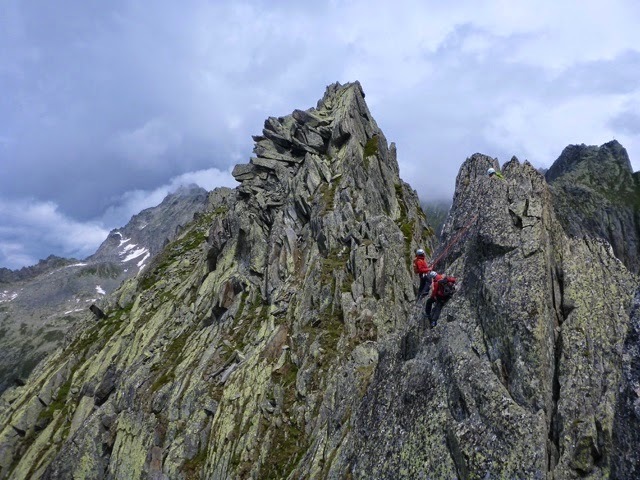 Spot the Italian climber! Immaculately dressed. First aid requirements for Mountain Leader Training qualifications. Images copyrighted for MLT officers. Picture Window theme. Theme images by zbindere. Powered by Blogger.